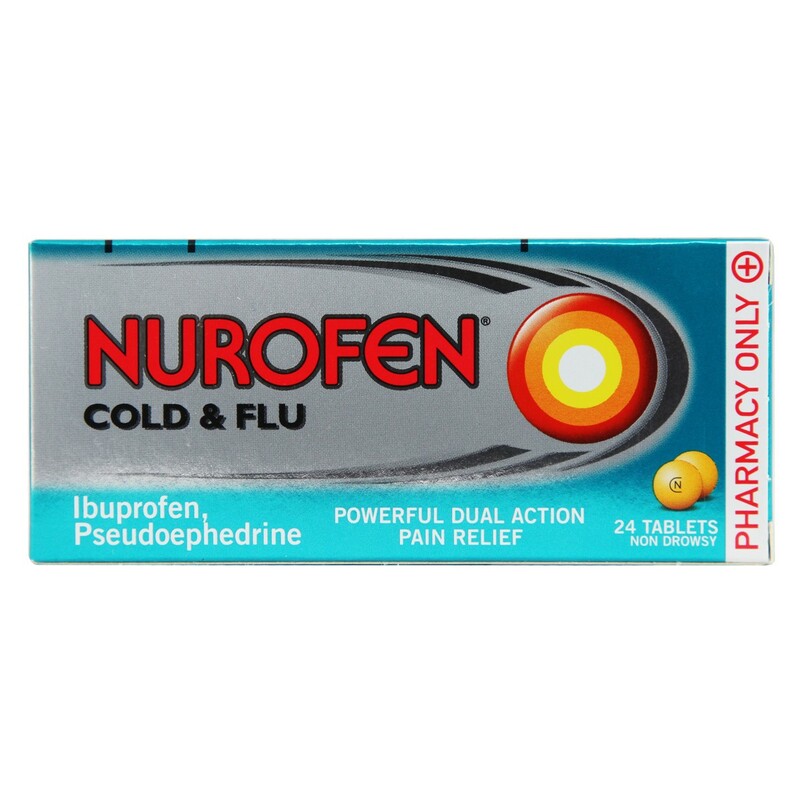 Nurofen Cold and flu combines the painkilling power of ibuprofen with pseudoephedrine - a strong non-drowsy decongestant - to give you relief from cold or flu symptoms. While ibuprofen gets to work easing your aches and reducing your fever, pseudoephedrine acts on the blood vessels in your nose, helping clear congestion. So in no time you’ll feel like your old self again. For oral administration and short-term only.Adults, the elderly and children 12 years and older: Swallow 1 or 2 tablets with water up to 3 times a day as required.Leave at least 4 hours between doses.Do not exceed 6 tablets in any 24 hours. Thank you for your interest in Nurofen Cold and Flu. Enter your email and we'll contact you as soon as it's available again.